How is Milk Like Insulin Pumps? Hope you enjoy it, Squeakers! I’ll be anxiously awaiting your every word of input/experience with it. I also have the Minimed 723 and Dexcom G4. It’s a combo I would be hard-pressed to give up based on what I know of the Enlite system thus far. Like you said, we shall see! I hope that you “enjoy” (funny word to use in this context?) this diabetes gadget, and I’m looking forward to hearing about your experiences with it. Will you wear the Dexcom simultaneously to compare? Oh, yes. I think it’s important to see what I’ve been using and how it differs. I’m glad you’re getting a chance to “try before you buy” (or don’t buy). But I’m not so sure you’re the guinea pig here. This is already an FDA-approved, commercially available product. You’re not a guinea pig to check how Enlite responds to you; rather, Enlite is the guinea pig to see how you respond to it. 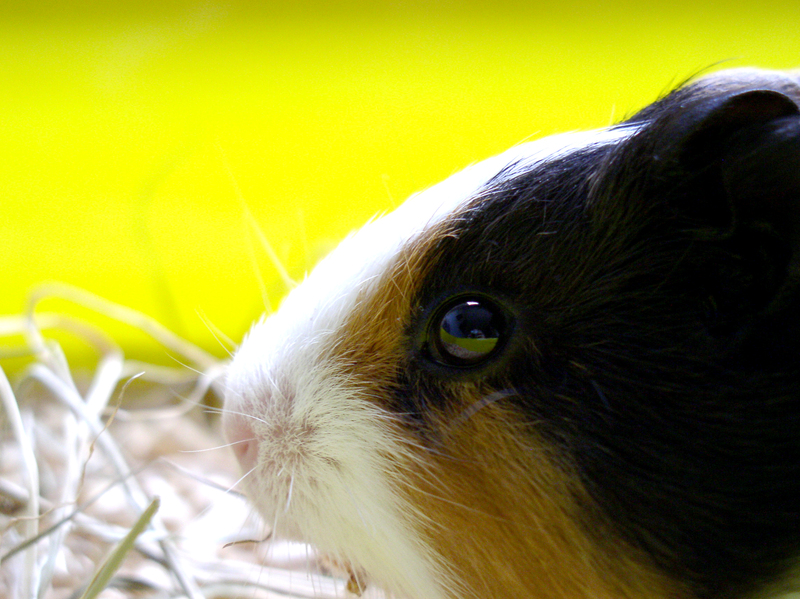 I had two guinea pigs when I was in high school — named Venus and Athena (I was really into mythology). They are no longer with us (actually, they are buried somewhere in the woods behind my parents’ backyard, I think). I miss them. I feel like I’m testing the system on myself, therefore, squeak! I’ll be interested to hear what you think. I switched to an Animas Ping about a year and a half ago in order to be eligible for the upgrade to the Animas Vibe. I still miss my Medtronic pump and of course have no idea when/if the Vibe will ever be available. But I am a loyal Dexcom user and still have nightmares about my years on the Medtronic Sof-Sensor.